Gæsteatelier Hollufgård is a Danish artist residency, member of ResArtis and located at the manor house Hollufgård five kilometers south of Odense. The guest studio offers short and long term residencies with workshop facilities and accommodation for Danish and foreign artists. There are 3 single rooms and 1 double room that share common room, kitchen, toilets, shower and washing machine. 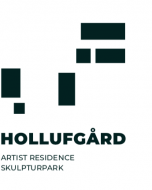 Gæsteatelier Hollufgård is supported by the Danish State and the Municipality of Odense and can therefore offer stays at very low prices. We offer no additional funding of expenses for travel and living. Residencies are granted for the max. duration of 6 months. Applications are processed on a regular basis by the Board’s executive committee. We welcome and encourage an artist talk during the residency. Our artist talks are publicly available and kept in an informal atmosphere. The event can relate to the artist’s work in general and / or the artist’s work during the stay and may give the audience insights to the cultural environment in the artist’s country and local community. An artist talk is typically about 1 hour duration and scheduled in advance to take place towards the end of the stay. We are happy to assist the resident with advice and guidance to the event. There are five workshops: The bronze Foundry, the stone-carving yard, the forge and the mixed media and the graphic workshop, as well as a number of medium sized studios for painters. Residents are offered a separate workshop of a size adjusted to their needs. The workshops are equipped with furnace, compressors, welding equipment, mixer for clay and concrete and a truck with lifting gear. Electric tools, such as drilling machines and other hand tools are available to a limited extent. Residents must bring loose parts, such as chisels, drills and diamond discs. The graphic workshop is equipped with a large printing press and screen printing (see website). In the sculptor shop, materials can be purchased, primarily for bronze casting. We are of course helpful in purchasing necessary materials and tools. The workshops are for professional artists who master the crafts of their profession and the skills necesseary for executing their project. The guest studio’s employees are primarily employed to maintain machinery, tools and buildings and do not provide instruction in technical skills. But, of course, we are happy to assist in obtaining technical assistance at the resident’s expense. Also, the colleagues are glad to lend a helping hand and share advice and experience. It is allowed to enjoy alcohol on the premises and to smoke outdoors. It is however strictly forbidden to use or be influenced by any substances in the workshops. Any violation of the rules will result in immediate expulsion. Our facilities are used by both the residents and local artists. The resident can therefore expect a good professional and social network in a living and inclusive environment. However, the number of colleagues wirking in the premisesmay vary in periods. By car: Gæsteatelier Hollufgård is located at exit 49 on the Funen motorway. Bus: There is bus service (22) to the city center, approx. one per hour, and bus 82in Neder Holluf, approx. 10 min. walk from the premises, where you will also find the nearest grocery store. Bike: On the premises are 3 bicycles for free use. Odense has a very well-developed network of bicycle lanes. Shopping mall and construction market take approx 15 minutes, the city center approx. 30 minutes on bicycle. All insurances (Occupational Accident, Accident and General Liability) are signed by the resident. Gæsteatelier Hollufgård’s insurance covers only employees. The same applies to insurance covering theft of tools, materials and works. Residents are always invited to participate in our current exhibitions and other ongoing events. For sales that take place through our events we charge a commission of 10% for members and residents. Should you have further questions, please feel free to mail@gah.dk, we look forward to receiving your application.